Pictures from the 2018 Kickoff Crew party are now posted here. Varsity roster available here: Meet the Pirates. ​Follow the Pirates offseason program over on our OFFSEASON PAGE. ​​Did you know you can watch highlights from every game when you join the Booster Club? Click here for more info. 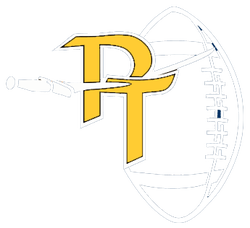 Keep up to date with the very latest Pine Tree Football news by following our official Facebook and Twitter accounts. ​You can sign up to receive weekly stats and e-mail blasts during the season from Coach Lane using the subscribe form at the bottom of this page. Special thanks to Procell's for supplying medals for the Punt, Pass & Kick Competition at the Spring Jamboree. PT Football appreciates your support!